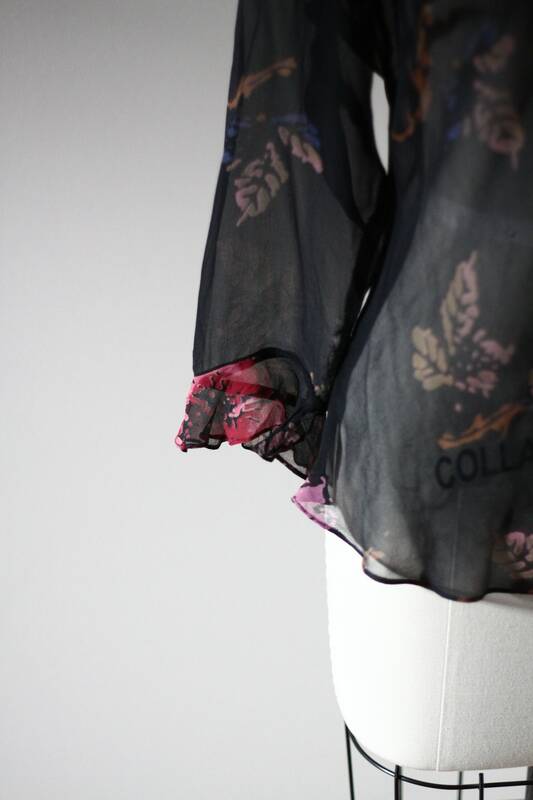 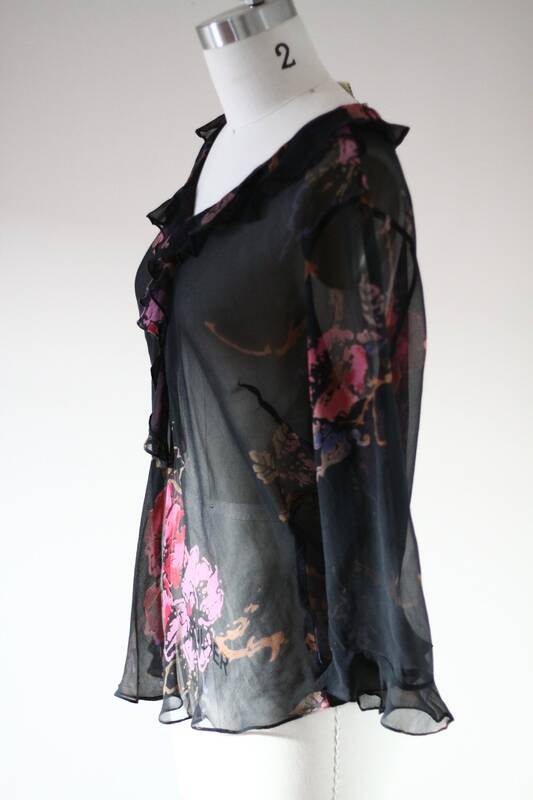 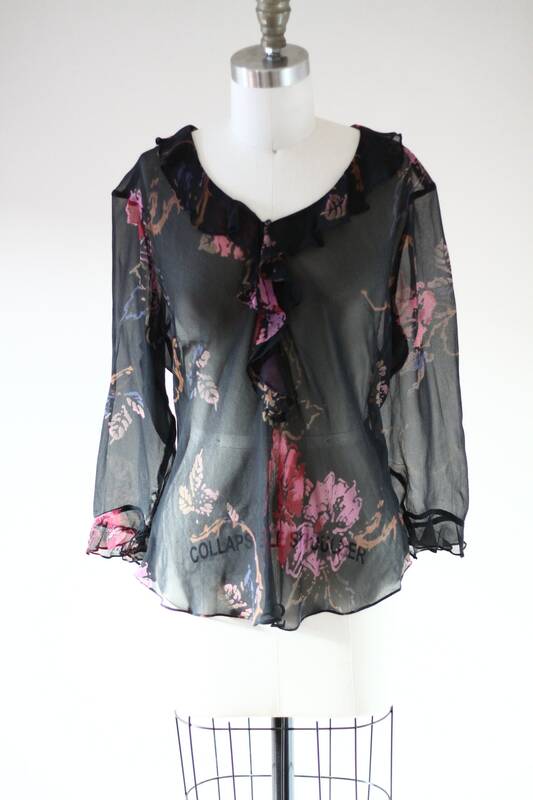 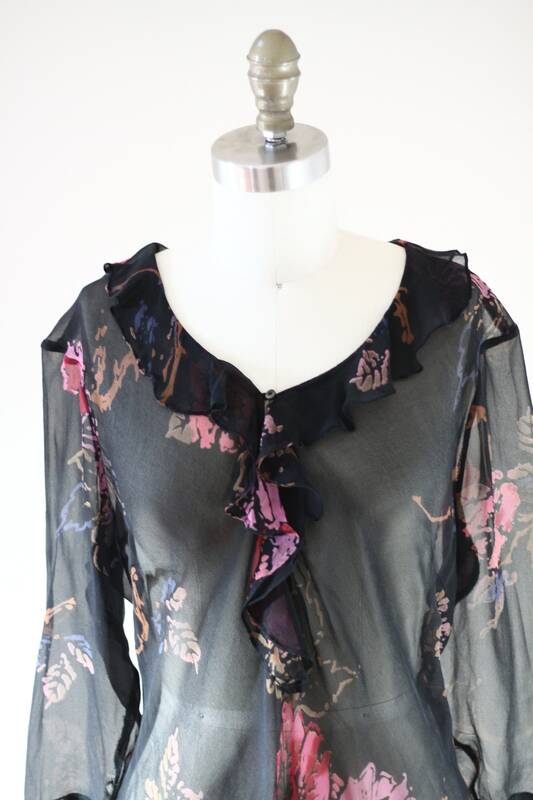 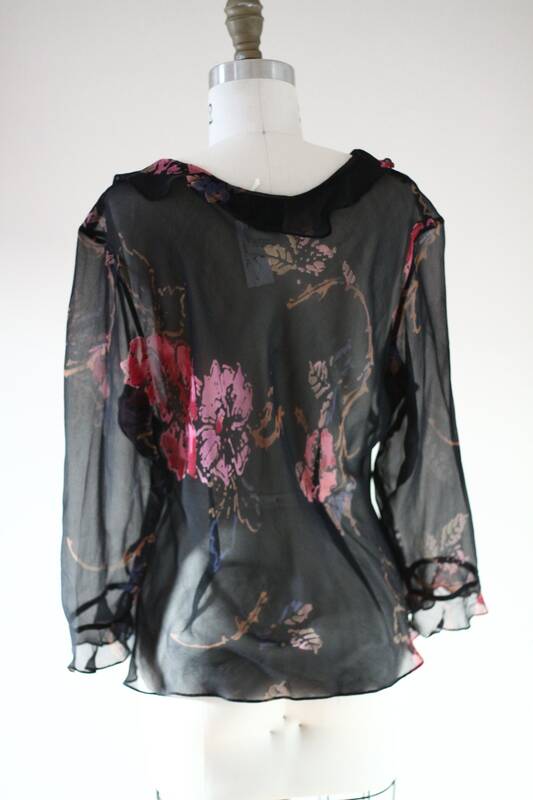 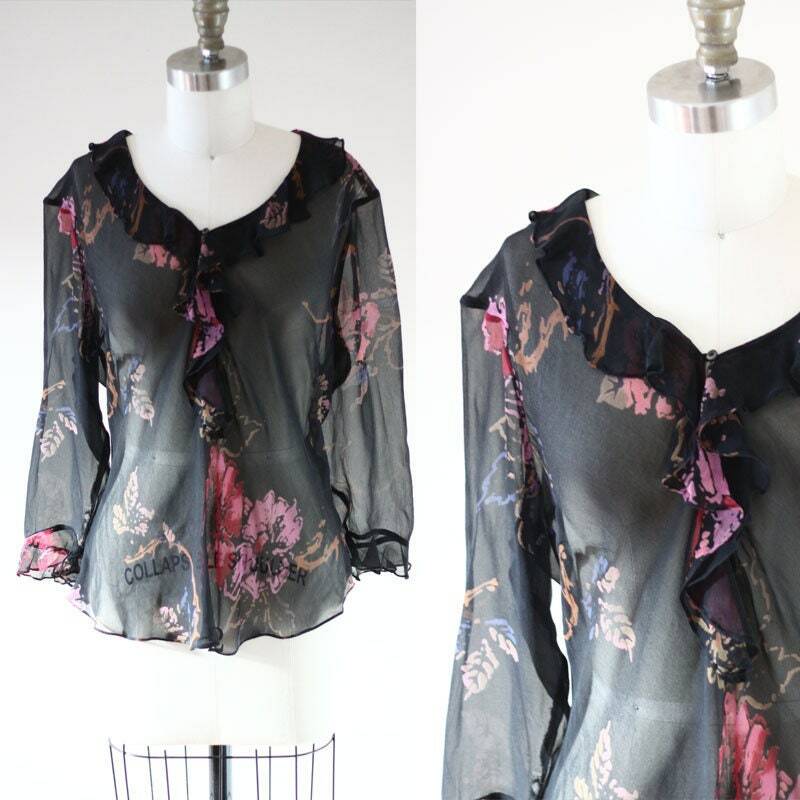 1980s silk black blouse with a beautiful pink and red floral print throughout. 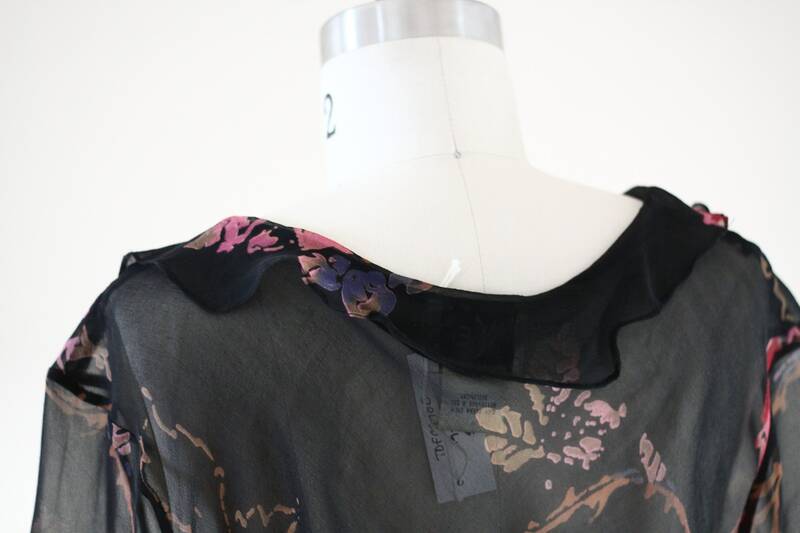 The front of the top has a slight ruffle and a deeper v opening. 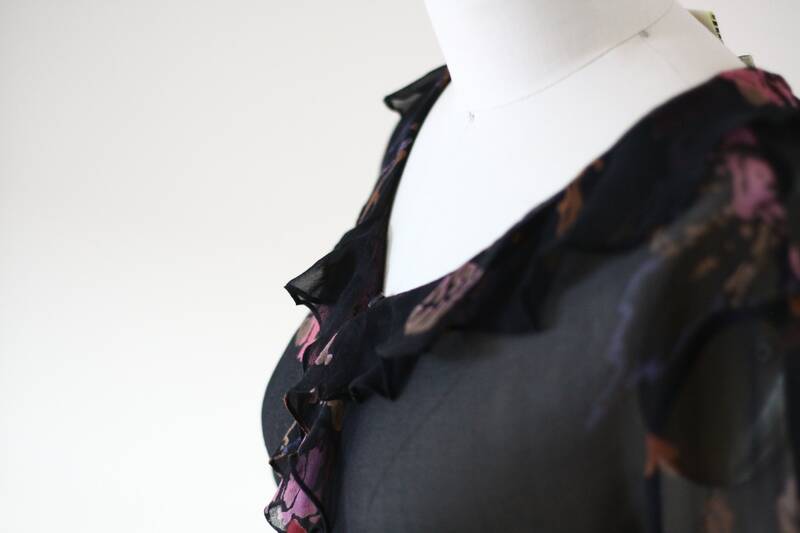 Button closure in the front of the top.